This entry was posted on Friday, July 19th, 2013 at 8:24 am	and is filed under . You can follow any responses to this entry through the RSS 2.0 feed. You can skip to the end and leave a response. Pinging is currently not allowed. 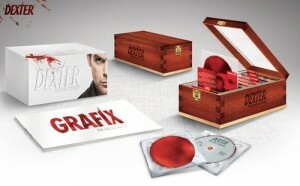 « ‘Dexter’ The Complete Series on Blu-Ray Announced!!! Dude, this is $200. You said we made six. Right, yeah, but $200 is your cut, cause that's the going rate for hiding in the truck.